There can be many causes for a 30HP Evinrude E-Tec boat motor to stall, such as an overload on the engine or insufficient fuel supply. Troubleshooting is the best way to determine possible causes and the procedures needed to fix a stalling engine. 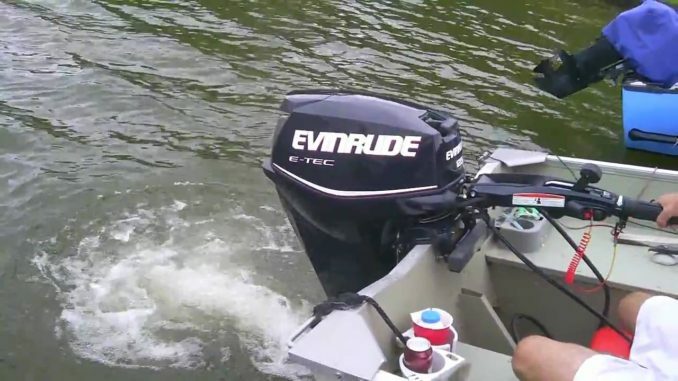 When an Evinrude E-Tec 30-HP outboard motor does not run for more than a few seconds, use this guide to determine why the motor stops running. Bad ground, faulty wiring connection or damaged wires. Check all grounds, wiring and electrical connections. Bad spark plug, incorrect heat range or worn plug. Use the correct spark plug: Champion QC10WEP @ 0.028 ± .003 in. (0.71 mm). Check used spark plugs for wear or broken porcelain insulator, replace spark plugs if needed. Alternator output low or none at all (55 V). Check voltage on 55 V circuits. It’s also recommended to refer to the electrical and ignition, and system analysis section in the factory repair manual. 55 V circuit wiring or capacitor. Check and perform test on capacitor and 55 V. Refer to the electrical/ignition and system analysis in the repair manual for inspection and testing procedures. Contaminated fuel or incorrect fuel grade. Check for contaminate fuel, replace poor quality fuel. Fuel pressure to low. Test fuel pressure. It’s recommended to download the repair manual to obtain fuel system testing procedures. Gasoline supply restricted. Inspect the following areas for possible restrictions: primer bulb, fuel pick-up, anti-siphon valve. Also, check the fuel system for air leaks. Check the engine’s injector electrical circuit or control function. Do this by testing voltage at injectors. It’s best to refer to the system analysis section in the repair manual. Leaking fuel injectors or restricted injectors. Perform inspection on injectors. Refer to fuel system section in repair manual. Timing, EMM program or operation. Check the EMM program using the directions in the repair manual. Check timing, injector coefficients, ignition primary outputs and monitor injector control wires. Ignition output is weak or erratic. Perform inspection on ignition. It’s recommended to refer to the electrical/ignition and system analysis. Check for possible internal powerhead damage. Repair as necessary. The checklist above contains the most common reasons for why a 30HP Evinrude E-Tec outboard stalls. Keep in mind that there can be several faults contributing to the stalling problem.